After breakfast at the hotel, drive to Kodi area for its Bondo Kodi and Bondo Kawango, Parona Baroro and Rotenggaro village, these are traditional villages in the western part of the island, continue to Pero beach (lunch box provided) visit Rangga Baki village traditional village. Continue to Waikelo Sawah to see the wonderful waterfall that comes from a big cave with a natural pool for swimming and using for irrigation. Dinner and overnight at Monalisa Hotel in Waikabubak. Departure from your hotel, drive to Wanukaka, stop at Lapale to see the land and seascape and rice fields of Wanukaka, continue to the kampung Waigali to see the skull tree is dedicated to the war Merapu and was used as the altar for the rites following head hunting proceed to Pasola field at Laihuruk. lunch on the beach after lunch next visiting Prai Goly, Waiwuang village to see the oldest stone grave called “Watukajiwa ” which belief as their ancestor’s boat. Proceed to Lamboya and stop at, Waru Wora and Wuntalaka village located on the hill. Dinner and overnight at Sumba Nautil Resort. After breakfast at the hotel, check out and start drive overland to Waingapu (east of Sumba) within 137 km distance, On the way stop can be made to Pasunga village to see the greatest stone grave and the traditional houses of Sumbanese. Arrive in Waingapu continue to the hotel for check in and lunch at hotel Elvin. Afternoon visit: Prailiu and Kallu village, to see the central of ikat process, Dinner, and overnight at Hotel. After breakfast at hotel drive for 62 km to Melolo, to see the traditional village of Pau and Rende village to see the royal tomb are made from the megalithic stone and its houses where one of them the wall construction made from the buffalo skin, lunch will provide on the route, afternoon drive back to the hotel. Dinner and overnight at hotel. Flight to Kupang in West Timor island, on arrival in Kupang, drive to a local restaurant for lunch and continue to Soe. Dinner and overnight at Bahagia 2 Hotel. Boti is West Timor’s most famous traditional village, known for its unique “independence”, and is known to be the last village in Timor where the people still strictly practice the tradition and way of life of the Timorese ancestors. Here you have time to keep in touch with them and having lunch in the village. Afternoon back to So’e. Morning visit Oesela waterfall, then back to Kupang, on the way visit family Paah, they are famous Sasando player in Nusa Tenggara, then to Lasiana Beach near Kupang. Dinner and overnight at On The Rock Hotel. Transfer to the airport and flight to Alor island, arrive in Alor, transfer to Pulo Alor Hotel, Check in and lunch at local Restaurant, after lunch drive Sabanjar beach, here you can stay till sunset. after sunset back to the hotel. Dinner and t overnight at Hotel Pulo Alor – Kalabahi. Boat tours to visit Ternate and Pura island. On the island, you visit a local village and swimming and snorkeling on the beach. Dinner and overnight at Hotel Pulo Alor – Kalabahi. Day 11. Kepa island Alor. Morning free program before transfer by boat to Alor Kecil then continues to Kalabahi. Dance performance in Takpala beach. Afternoon enjoys sunset and dinner at Pantai Reklamasi Kalabahi, Dinner and overnight at Hotel Pulo Alor – Kalabahi. 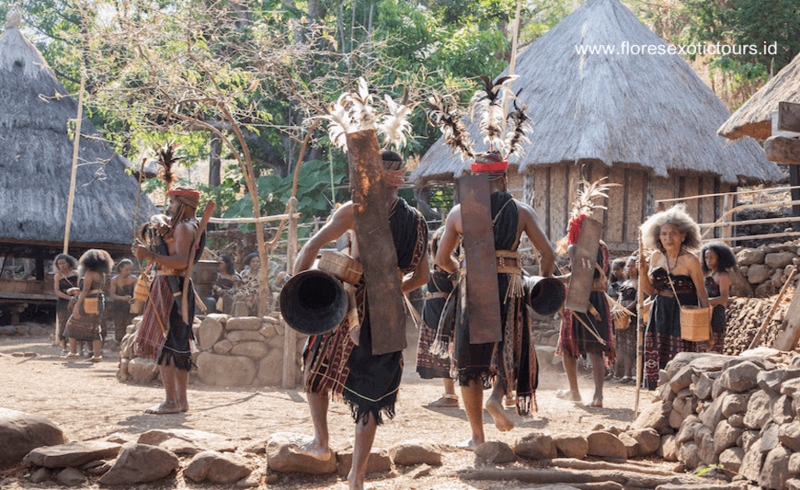 Day 12: Alor – Kupang. Transfer to the airport, on the way if time permit visit orphan house in Kalabahi before continues to drive to the airport, flight to Kupang, on arrival direct transfer to On the Rock Hotel. Dinner and overnight at Hotel. Morning fee program at the hotel, before transfer to the airport for the flight leaving for Denpasar. * Meals during the trip. * Porter fee, personal expenses, and Tipping. Hat, Swimming suit, insect repellent.